Facebook's upcoming smart speakers are expected to arrive in July, reveal insiders familiar with the matter. Sporting 15-inch touchscreen displays, they are also supposed to provide video chat and social features. Smart speakers might not be more than a niche product in many countries for now, but this segment of the global tech market might have a bright future ahead. After all, when big names like Amazon, Apple, Google, and Microsoft are involved in a market, that market must show serious potential. According to sources familiar with the matter, the next big name to join the smart speaker sector is Facebook. DigiTimes quoted a recent study by market researcher Canalys that forecasts a solid increase of the global smart speaker market. In numbers, this means a 200 percent growth to a volume of over 50 million units. At the end of 2017, a study by NPR and Edison Research estimated that almost 40 million US citizens owned a smart speaker (16 percent of those over 18 years of age). The insiders who spoke to DigiTimes said that Facebook will launch two smart speakers with 15-inch touchscreens "in July at the latest." 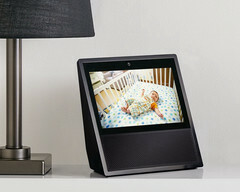 Codenamed Aloha and Fiona, these devices are said to feature various social features and video chat capabilities. Aloha is the more advanced of the two and is supposed to hit the market as the Facebook Portal. The rumors also claim that Facebook was expected to launch both devices in May, but the launch was delayed for improving the sound quality and the software they provide. At last, we should also mention that the only manufacturer who will take care of these upcoming smart speakers is Pegatron, known for making Apple products, while the display will be sourced from LG Display. Since none of these rumors have been confirmed by Facebook yet, remains to see if anything official surfaces at MWC 2018 next week. Until then, feel free to take a closer look at the Amazon Echo Show, the smart speaker with a 7-inch touchscreen that has been around since last summer.